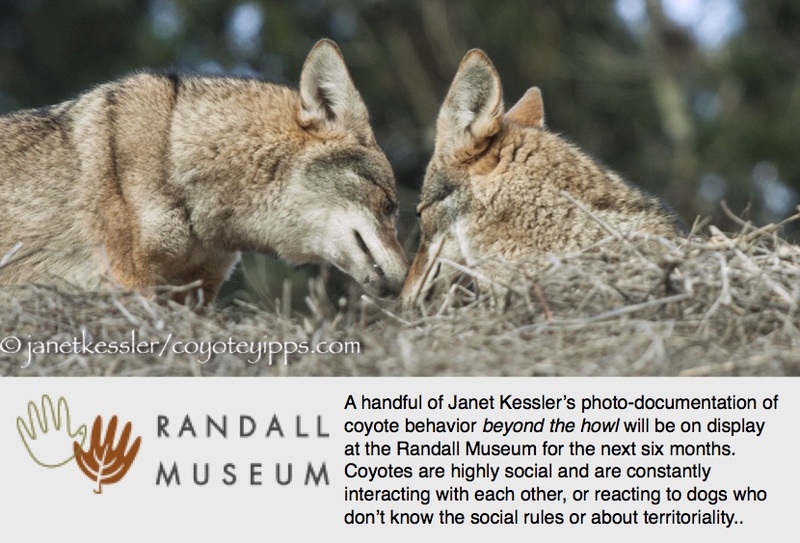 Again, I came across coyotes ecstatically greeting each other. The greeting went on for a full minute. Most of the activity occurred behind bushes and grasses, but I was able to glimpse a little of it! Notice that the alpha coyote is always standing up, whereas the submissive coyote kisses from a lowered position, almost all the way to the ground. The greetings I’ve seen always involve lots of wiggly ecstatic affection, but greetings may also solidify social hierarchy within a group — these photos would suggest that.